Accountancy and consultancy firm, PwC – which has a hospitality and leisure group – recently published its latest UK hotels forecast, which reported that ‘regional occupancy levels have been climbing since 2011, with budget rooms operating at high occupancy rates’. The report added: ‘The addition of heightened style and luxury amenities at the UK’s budget hotels is attributed to the shift in the region’s supply toward more affordable rooms’. According to Knight Frank’s UK Hotel Development Opportunities 2017 report, the budget hotel sector now accounts for 25 per cent of the UK’s total supply and will continue to drive the growth of the new hotel sector. Here at PSE Associates, with our focus on the hospitality sector, this is something that we’ve witnessed too – both from a professional point of view and as consumers. Only 20 years ago, our surveyors would book up a hotel room local to wherever we might be working and cross their fingers that it would be OK. This was in the days before comparison sites, which immediately flag up hotels which simply aren’t up to standard and before the spread budget hotel chains, which you can depend on to deliver a consistent standard of good accommodation. Budget hotel chains might be missing some frills but, for most of us, we are looking for somewhere which feels safe, clean and comfortable. Over recent years, we have witnessed the evolution of budget hotels close at hand through our relationship with Whitbread’s Premier Inn group, where we’ve been chosen to supply quantity surveying and project management support to the group’s hotel extensions. While one would assume that each project is like rolling out the same template every time, this is far from the case. All the extensions are different and built to make the most of that particular site. At nearly every site we work on, there are new developments and exciting technologies which are incorporated to make visits even more comfortable for Premier Inn customers. 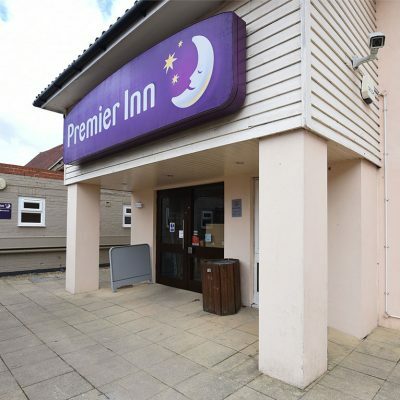 We recently handed over a 16-bedroom extension at Premier Inn’s Cambridge North site and this encompassed a new state-of-the-art facial recognition monitor. 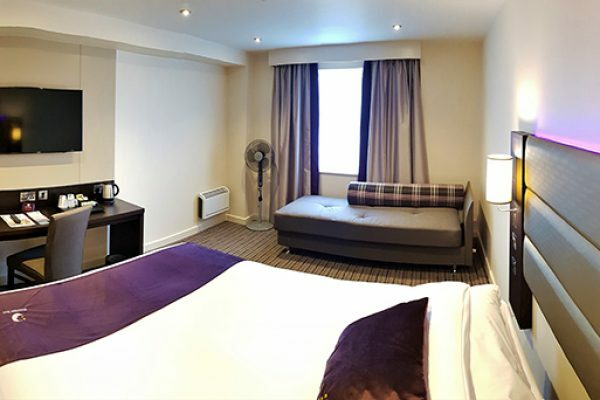 Another change we’ve seen over the past few years is the addition of an increasing number of Universal Accessible bedrooms into Premier Inn properties; one was recently added to the property in Port Talbot. In addition, not all Premier Inn properties look like your standard box-shaped building either. In fact, we’ve recently handed over a 24-bedroom extension, a reception refurbishment and a restaurant extension in St Austell and it looks more like a row of Cornish cottages than a hotel. We also love the fact that Premier Inn has incorporated as standard things you only used to see in an upmarket property, such as luxury kingsize Hypnos beds and a choice of pillows. We weren’t surprised at all when, at the end of last year, Premier Inn – which boasts more than 750 hotels – was named as the top-rated hotel chain by Which for the third year running. Which surveyed 4,000 of its members and the general public about what makes a hotel chain the best in the UK, covering things like value for money, customer service and cleanliness. “This year’s report has celebrated many of the things our guests love about Premier Inn; our fantastic beds, our high standards of cleanliness, and excellent customer service, none of which would be possible without the hard work and passion that our team members put into making Premier Inn such a great place to stay,” said Simon Jones, managing director of Premier Inn & Restaurants UK. PSE Associates provides traditional professional Quantity Surveying and Project Management services to many brand leaders in the leisure, retail and commercial sectors.